Since Apr 1999, Singapore’s incineration ash generated from the burning of waste at our incineration plants, and non-incinerable waste has been sent to our offshore landfill, Semakau Landfill. In 2014, only 2.3% of Singapore’s waste (or 171,000 tonnes) was sent to this landfill. 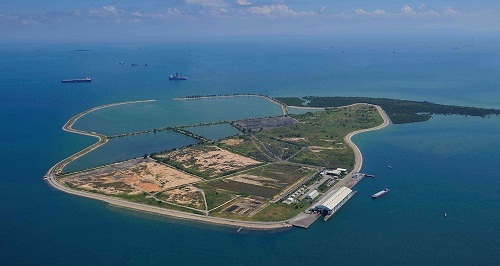 Phase I of the landfill was created by enclosing 350ha of sea space between Pulau Sakeng and Pulau Semakau with a 7km perimeter bund, followed by construction of internal bunds to convert 55% of the enclosed sea space into 11 landfill cells and other amenities. All the landfill cells in Phase I are expected to be filled up by next year. So the National Environment Agency (NEA) closed public visits and started development works in Jan 2014 for Phase II of Semakau Landfill. The completion of Phase II development of Semakau Landfill was announced on 11 Jul 2015. 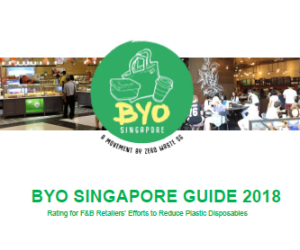 This will provide an additional 16.7 million cubic metres (or nearly 6,700 Olympic-size swimming pools) of landfill capacity to meet the waste disposal needs of Singapore to 2035 and beyond. 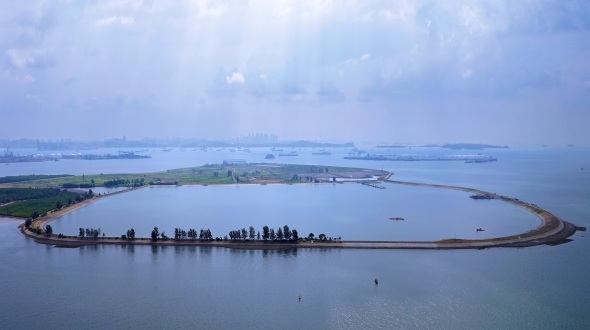 Instead of dividing the sea space into multiple cells as in Phase I, Phase II saw the conversion of the remaining 157ha of sea space into landfill space by closing the 160m gap at the southern perimeter bund of Semakau Landfill to create a single large cell. This helps to maximise the landfill capacity by 44% and minimise the amount of sand used, thus lowering the overall construction cost. Minister for the Environment and Water Resources, Dr Vivian Balakrishnan, who spoke at the launch of the completion ceremony, explained that the sourcing of sand for reclamation was an issue for Singapore and he challenged NEA to find a solution that did not need so much sand. 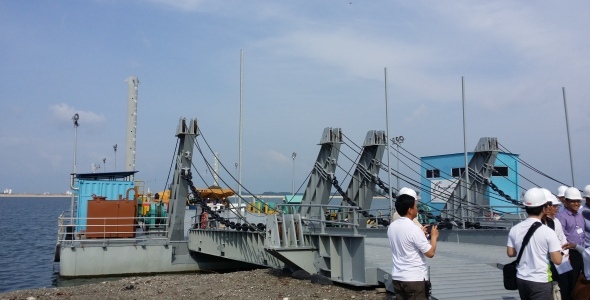 The Phase II development cost was S$37 million, and includes the construction of a 200m long floating platform ($10 million) and a floating wastewater treatment plant ($11 million). NEA also took efforts to conserve the marine life in the Phase II cell lagoon. Over 700 colonies of corals in the lagoon were harvested and transplanted to Sisters’ Island, and NEA has been working with nature groups to catch the fish within the lagoon and transfer them to the open sea. 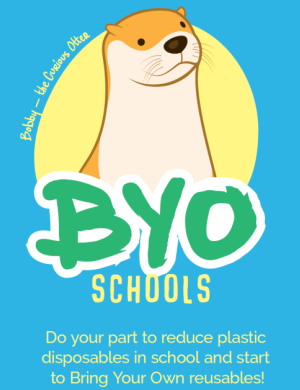 Due to the large area of the single cell and uneven seabed, it is necessary for the construction of a floating platform to spread the incineration ash to level the seabed to a depth of about 2m before conventional landfill operations using bulldozers and compactors can commence. The floating platform allows the dump trucks carrying incineration ash to discharge the ash directly into the cell. Over time, the water in the Phase II cell will build up and be displaced by ash and rainfall. To prevent flooding, the excess water within the Phase II cell will be treated at the floating wastewater treatment plant to meet Trade Effluent Discharge Standards before being discharged into the open sea outside the cell. Minister Vivian said that the expansion of Semakau Landfill shows Singapore’s imagination to solve our waste problems, and our engineering capability. 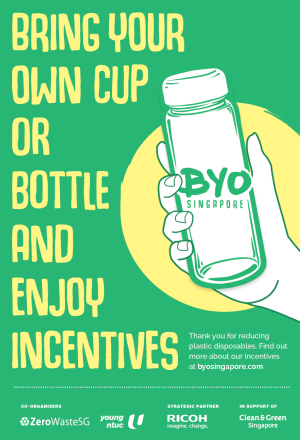 Although the landfill capacity can now meet our waste disposal needs to 2035, he encourages Singaporeans to reduce and recycle waste, as we cannot create more Semakau Landfills. It seems that NEA has taken care of our waste disposal infrastructure and needs over the next 20-30 years with these engineering works – the expansion of Semakau Landfill, the sixth incineration plant in 2018, and the integrated waste management facility in 2024. Although these disposal facilities would be able to meet our needs for the next 20-30 years, we still have to focus on reducing and recycling waste to prolong the lifespan of the facilities. 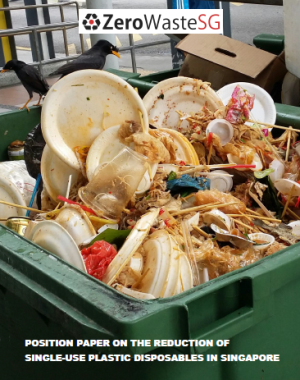 Besides focusing on engineering end-of-pipe solutions, NEA also need to put in more efforts to develop policies to reduce specific waste such as plastics, food and paper. 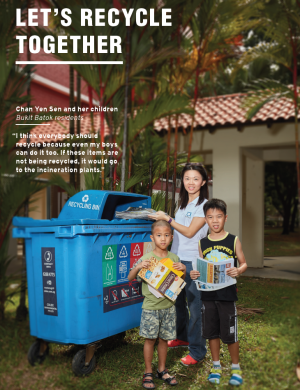 These 3 waste types make up 68% of the total waste still being disposed in Singapore. To tackle these 3 types of waste, we need more education and engagement of the public and businesses, and to consider concrete policies to reduce the usage of specific material and waste. 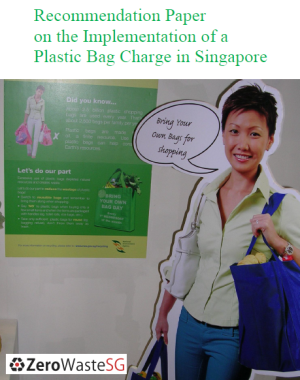 NEA has done a good job in providing waste disposal engineering solutions so far, and now is the time to focus more on implementing progressive policies and behaviour change efforts to reduce waste. Wouldn’t it be nice for the completed Semakau Landfill be used for burial, and be charged almost the same price as cremation? Singapore is so very short of land, so the charge for burial of one’s dead is so very high a that many citizens can’t afford! So, kindly make good use of the land formed, then, burial can be affordable by most citizens. Cremantion is adding sorrow to sadness for many bereaved family members!